The sport of wrestling is one brilliantly and brutally choreographed dance. Stars like John Cena and Dwayne Johnson circle each other, every move predetermined, every drop of sweat proof of the dedication to their craft. So what happens when the routine is broken? There have been plenty of times where wrestlers’ feuds have gotten the best of their emotions. They took their scripted rivalry and turned it into an unscripted assault. Read on for details on the most unhinged, unplanned, and downright scary real-life wrestler fights. 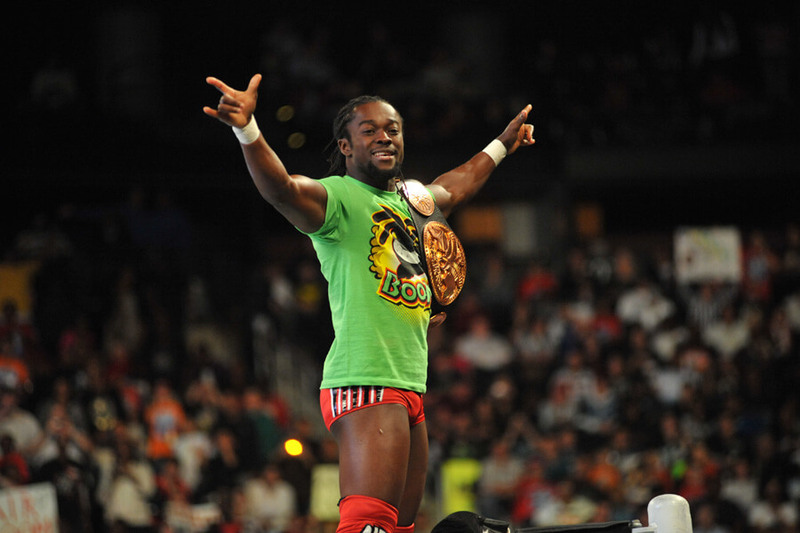 Kofi Kingston might not be the most memorable WWE star to ever enter the ring, but he did try and take his career to the next level by picking a fight with Vince McMahon. This was not a planned fight, either. Kingston was upset when he found out that McMahon was intentionally picking on him. To settle the score, Kingston confronted McMahon, who responded with a double leg takedown. After the incident was over, McMahon stopped making fun of Kingston. It might be stupid to pick a fight with your boss, but in this case it somehow worked out. 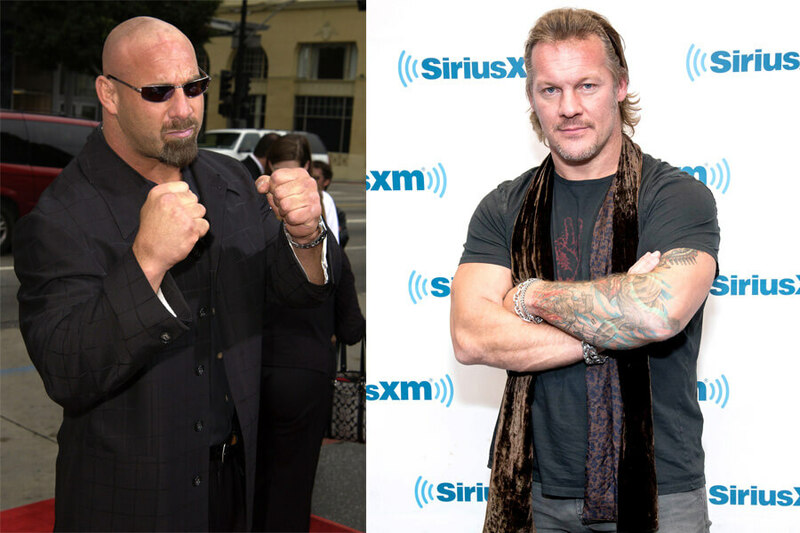 Throughout his career, Chris Jericho had a dream to fight Bill Goldberg in the ring. Golderg never accepted the fight, feeling that fighting the much-smaller Jericho was beneath him. The last straw for Jericho came when he got his wish, except the script called for Goldberg to pin him in under a minute. Jericho refused and accepted that his dream was over. Years later, in a twist of fate, Goldberg confront Jericho over online trash talking. On his podcast, Jericho claims Goldberg tried to choke him, so he grabbed the large man and put him in a front-facelock, adding body scissors to finish the job. Up next, a fight that almost sent both wrestlers to jail! 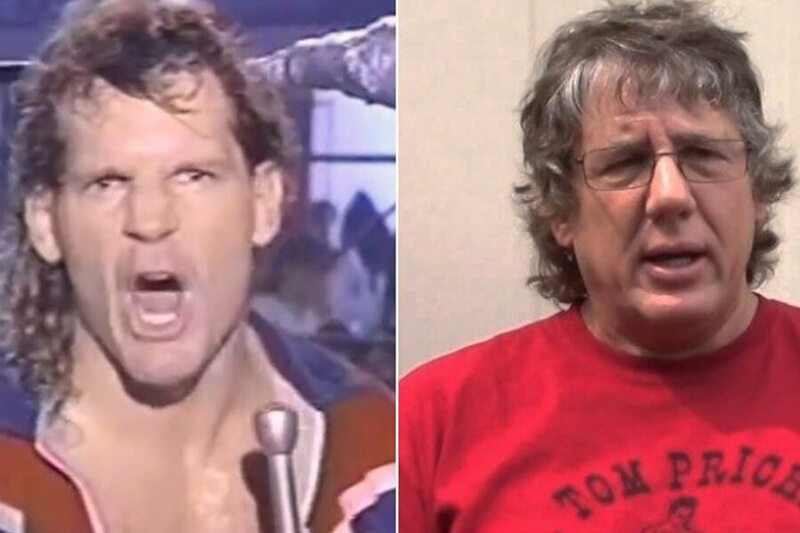 Tom Prichard had a big problem with Tracy Smothers when two fought in WWE together. Prichard believed that Smothers was intentionally trying to hurt other wrestlers in the ring and fought him about this while they were traveling to a show. The pair pulled their car over and took their fists out. When officers arrived to the scene, the pair convinced the cops they were only practicing for their show. As the police were leaving though, they heard Smothers tell Prichard the cops had just saved him from a beatdown. The officers turned around and said anyone who didn’t drive away immediately was getting arrested. Early in Shawn Michaels’ career he was paired up with Marty Janetty in a popular tag team. For some reason, the pair got into it one time outside of the ring. No one knows why, but Janetty claims to have defeated Michaels fairly easily. After the fact, Janetty said, “[Shawn] can’t fight. He’s a good wrestler, but he can’t fight.” In reality, police had to be called to break up the fight. Janetty was almost arrested until Randy Savage told the police he was just practicing for a future fight. During his days as an up-and-coming wrestler in the independent leagues, Ken Shamrock came across Brian Knobbs and Jerry Sags, aka the Nasty Boys. He interrupted the pair at a bar while they were hitting on another wrestler’s girlfriend, and things got physical. The three left the bar and ended up confronting each other at their hotel, where Sags and Knobbs beat Shamrock into a pulp. Shamrock never forgave them for the beating, and even threatened to fight them at an airport years later. The Boys didn’t take his bait. Still ahead, these two wrestlers are lucky to be alive after their scuffle! This fight almost ended with both wrestlers in body bags. It began over an argument about money and how little some WCW wrestlers were making compared to others. Sid Vicious verbally unloaded on Arn Anderson in the meeting, but nothing turned physical until later. The two began yelling at each other again that night. Eventually the yelling turned into a fight. Vicious grabbed a pair of scissors and you can guess what happened next. Both wrestlers suffered terrible injuries and required surgery. Miraculously, both survived the altercation. This is one epic fight that never should have happened. It was simply a miscommunication. The story goes that Vader was given permission to be late for a photo shoot. Paul Orndorff was never told this and chided Vader for his unprofessionalism. 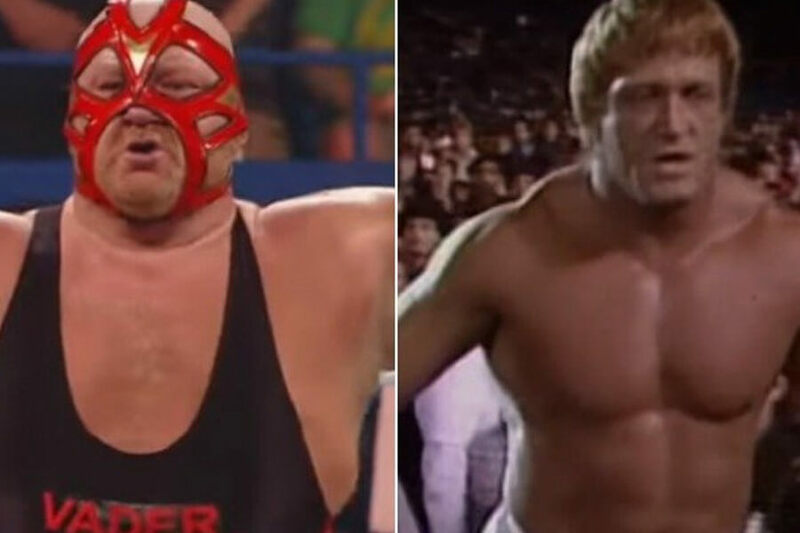 Vader, who had a short temper, got in Orndorff’s face. Orndorff slapped the behemoth and there was no turning back. The pair quickly fell to the ground together and had to be pulled apart. Shortly after the incident Vader was released from his contract with WCW. Wrestling is a sport filled to the brim with full egos. Dave “Batista” Bautista had one of the biggest in 2006 when he credited himself for the rise in Smackdown ratings. Booker T didn’t take kindly to the thought and let Batista know. The verbal altercation turned into a brief, 30-second fight that left a lot of damage. 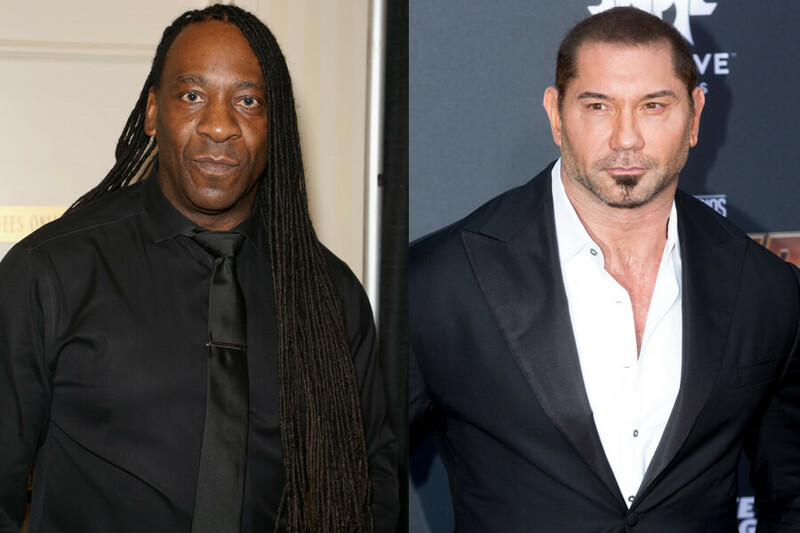 Booker T suffered a black eye while Batista’s face was cut up and bloodied. These days Batista has earned his ego, having transitioned to the silver screen in Guardians of the Galaxy. On the next slide, it only took this wrestler two matches to get into a fight. Speaking of egos, few were bigger than Buff Bagwell’s back in the day. When he was in WCW, no one cared. When he moved to WWE, his ego became a major problem. It arguably got him fired after two matches in the ring. Oh, and one outside of it. 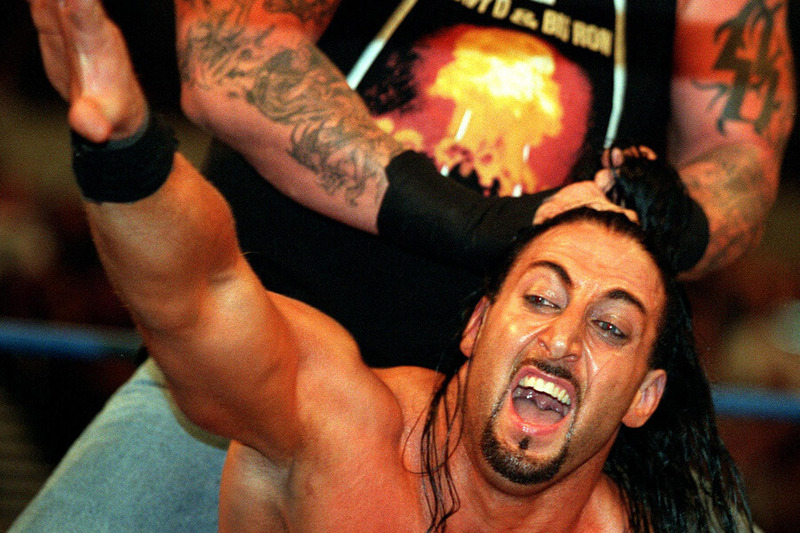 During his short stint with WWE, Bagwell ended up in a fight with Hurricane Helms. The reason the pair scuffled has never been disclosed, but we know it began verbally and ended with fists. Helms said Bagwell attacked him from behind, so he threw a water bottle at him, knocking Bagwell over and ending it. This might be the most anti-climactic fight on this list. With two wrestlers the sizes of Big Show and Khali, you’d expect an earthquake to be caused. Instead, both wrestlers slapped at each other until they fell on the floor. That was it. 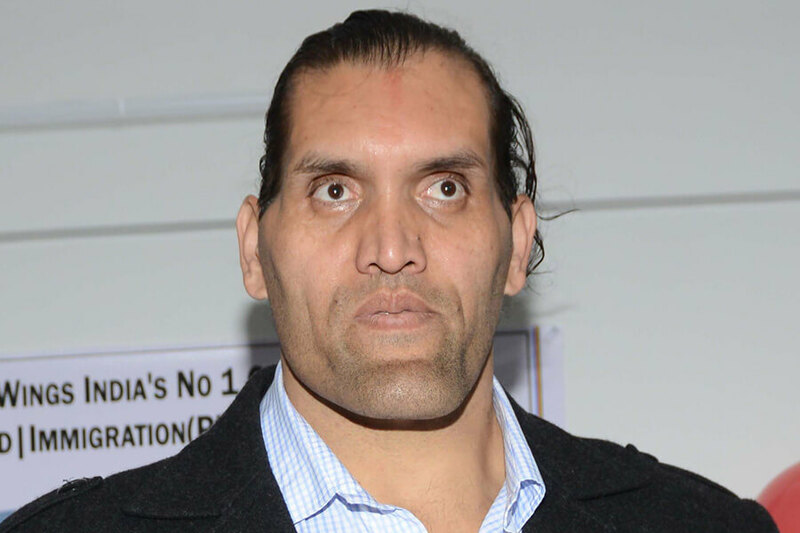 The reason they fought was because Khali refused to apologize for stealing Big Show’s signature move. Jericho, who was there, said no one broke up the fight the because it was “King Kong versus Godzilla.” Would you get in the middle of that brawl? The fight that happened 35,000 feet in the air is one that WWE would prefer to never talk about. It wasn’t just the fight between Brock Lesnar and Curt Henning that hurt the reputation of the company, it was also Ric Flair drunkenly flashing flight attendants. That’s not what this article about, though. 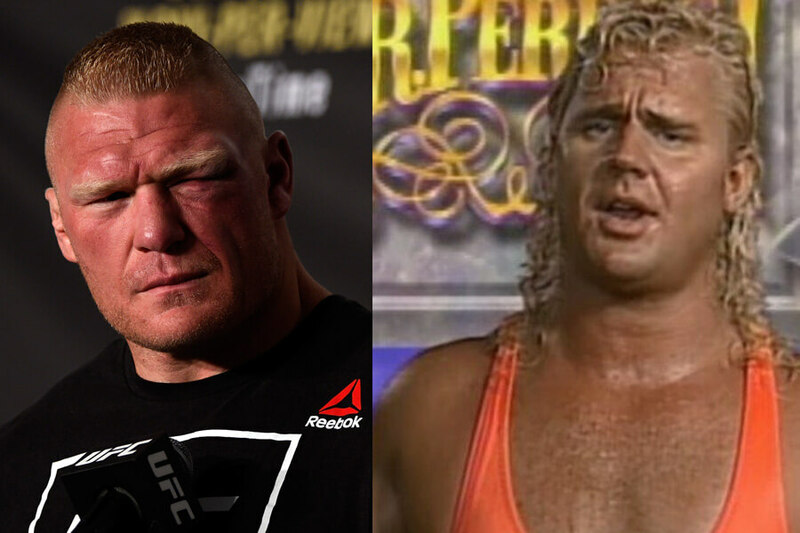 Lesnar, a rookie at the time, got into with Henning after one too many drinks. During the fight, the pair nearly opened the emergency door on the plane. Afterward, Lesnar laughed it off as just being what happens on a seven-hour plane ride. It wasn’t just any child. 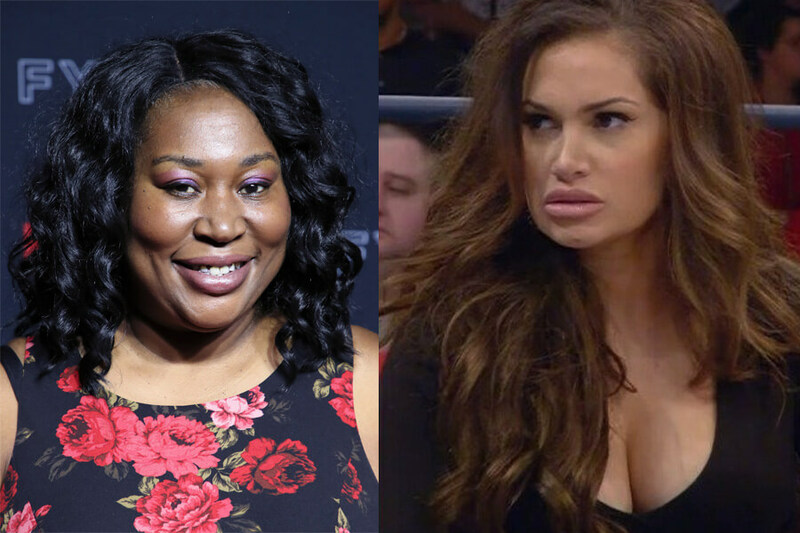 Awesome Kong fought Reby Sky in front of Sky’s kid. The skirmish happened in the dressing room. These wrestlers did not along, but both ended up in the changing room together in 2016. It did not end well. Kong went into an uproar that Sky would try and change near her and kicked her out of the room. When Sky came back in to grab her things, Kong grabbed her by the throat. Unfortunately, Sky’s son, Maxel, was in the room and witnessed the entire altercation. Kong was fired by TNA immediately. 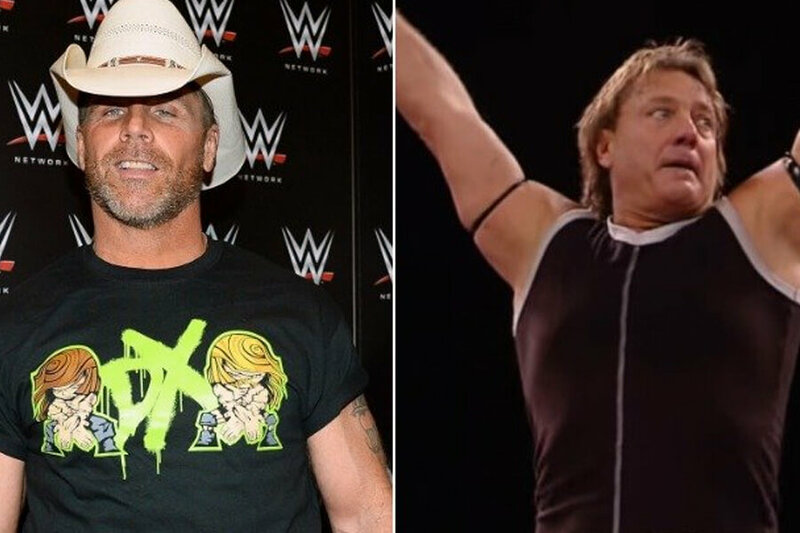 The Harris Twins found themselves beefing with Shawn Michaels after they learned he had mocked one of their recent performances in 1995. When the twins were leaving the company, they made sure to confront Michaels. They locked themselves in the bathroom with the WWE star while he was showering. The Harris Twins cornered Michael and slammed him against the wall. They then told him not to talk, and that he was such a terrible person he wasn’t even worth beating up. Then they left, chins held high for their moral victory. 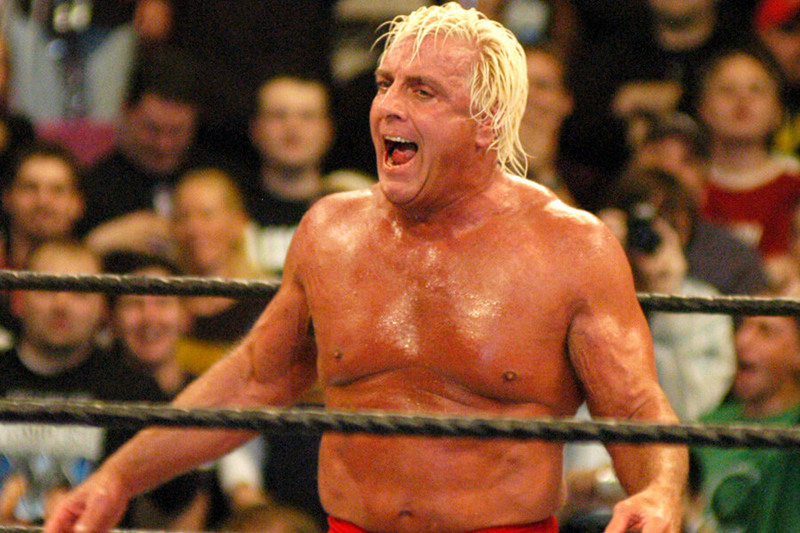 Coming up, find out what caused Ric Flair to go berserk! Ric Flair and Eric Bischoff never got along. When they transitioned from WCW to WWE nothing changed. One day Flair walked into Bishcoff’s office unannounced and demanded a fight. Bischoff was on the phone with his wife and was caught off guard. It took Flair to start throwing punches for Bishcoff to realize he wasn’t joking. Sgt. 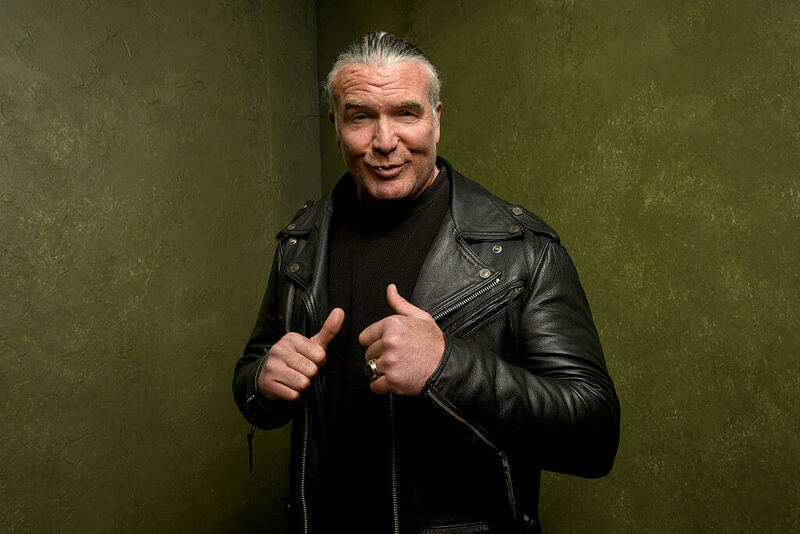 Slaughter showed up and broke up the fight, but enough bad blood was brought up that Vince McMahon ultimately got involved to play peacemaker. Brutus Beefcake should have thought twice about complaining to management about a fight with Haku. Beefcake told higher-ups that the wrestler had slapped him too hard during a match. Word got to Haku, who found Beefcake in the shower, lifted him up by the neck, and held him against the wall. Everyone who witnessed the fight was too scared of Haku to step in. Hulk Hogan did find a way to talk Haku into letting Beefcake go. Neither wrestler was punished for the incident and Brutus Beefcake never complained about Haku again. 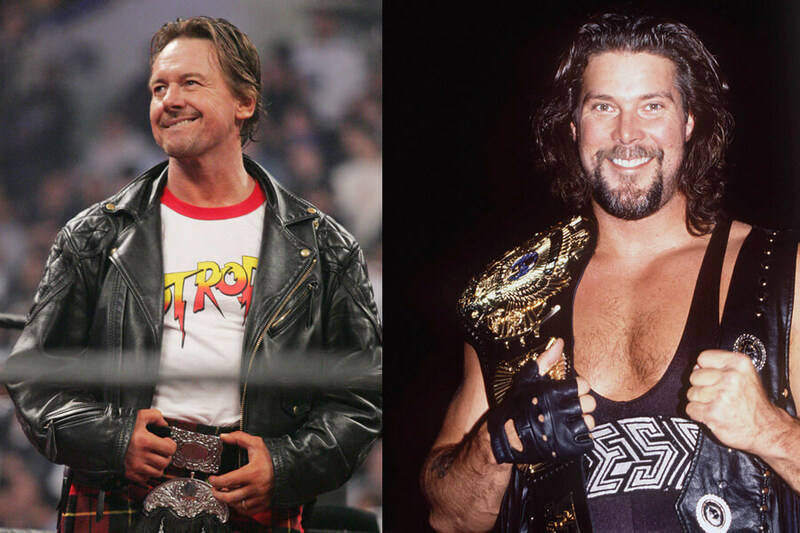 Kevin Nash took it upon himself to teach Roddy Piper a lesson after the wrestler broke routine in the ring one day. Piper was with Ric Flair in a private locker room when Nash came pounding on the door and yelling at Piper for flipping the script. Nash eventually got in and charged at Piper, slapping him across the face. Piper came back at Nash and tried to kick him in his injured knee. Everyone else in the room pulled them apart and the issue never came up between them again. Koji Kitao was a disgraced sumo wrestler when he joined up with WWE to help with cross-promotion of the sport in Japan. 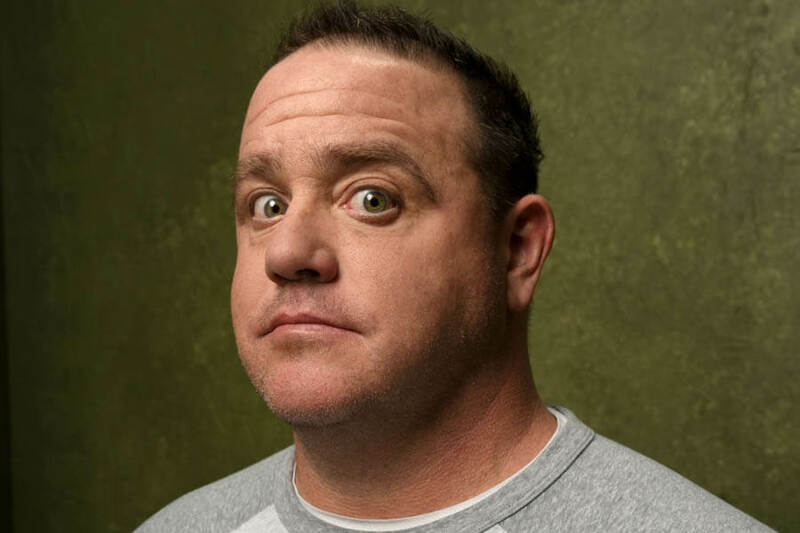 His first match saw him square off with Earthquake, a reasonably successful sumo turned professional wrestler. Kitao was embarrassed to fight Earthquake, having earned a higher rank than him during his sumo career. When the fight started, Kitao refused to stick to the script. The two circled and stared each other down before Kitao kicked the ref, took the microphone, and proclaimed wrestling to be fake. He walked out and never returned. Before SummerSlam ’92, Nailz decided his payment for the event was too low and opted to confront Vince McMahon on live television. He barged into the boss’ office and began choking him. After being pulled off, McMahon immediately fired him for his behavior. Years later, Nailz tried to settle his score with McMahon in court. The league owner was on trial for a steroid scandal when Nailz took the stand. Too angry to put together coherent thoughts, Nailz’ poor testimony was supposed to get McMahon convicted. Instead, it helped him get acquitted. There was a lot about this brawl that got the Nasty Boys fired, so we’ll try and keep it simple. One of the Boys, Jerry Sags, had a serious neck injury that he was forced to fight with. He agreed to these fights as long as no one came near his neck. That didn’t happen. During a fight two months later, Scott Hall and Kevin Nash both hit Sags in the neck. He lost his cool and attacked Hall with a barrage of unscripted punches. 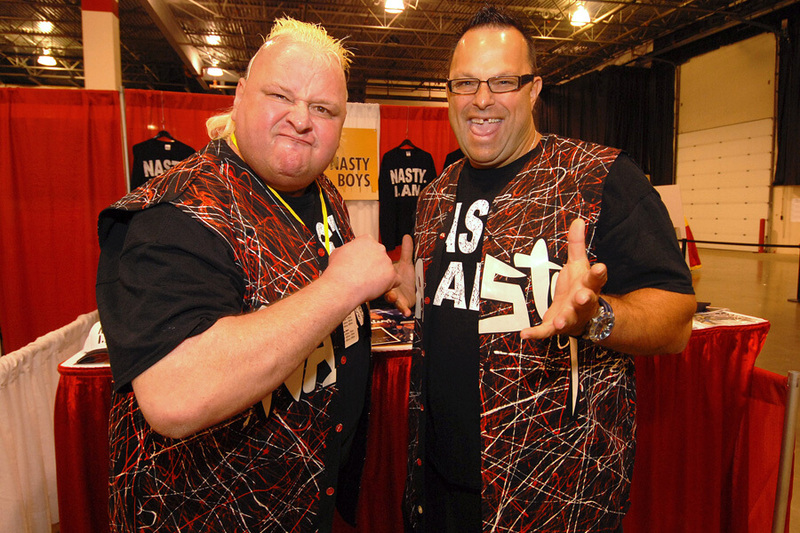 The Nasty Boys were fired for the incident. Hall and Nash were not. The tensions between Shawn Michaels and Bret Hart finally boiled over in 1997 after both had bad meetings with Vince McMahon. Hart decided the best way to get out his frustration was to beat the snot out of Michaels, who he cornered in a dressing room. It took multiple wrestlers in the room to pull them off of each other during what was a brutal battle. Michaels was so angry that he stormed into McMahon’s office ready to quit WWE and return to WCW. 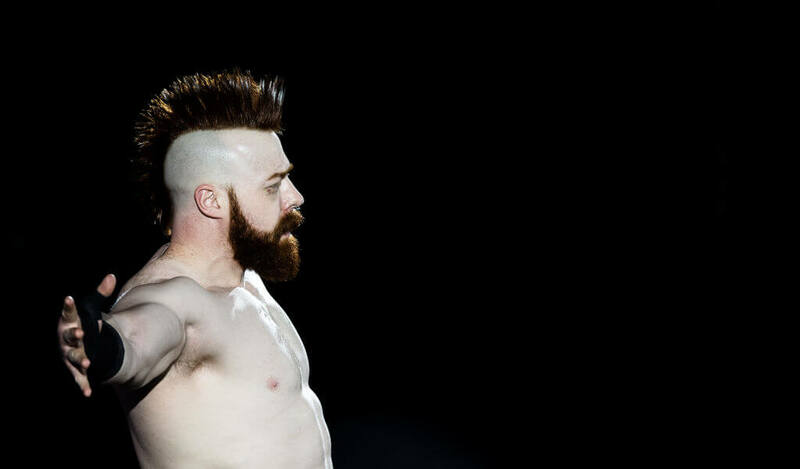 After a leave of absence, Michaels returned to WWE the next July. When he first came into the WWE, Brock Lesnar had quite the ego. He was young, and boasted that he could easily beat WWE icon Kurt angle. Angle, who was an Olympic gold medalist, took these fighting words to heart. The two set up a match to settle their differences. Angle proved that size didn’t matter and beat Lesnar. 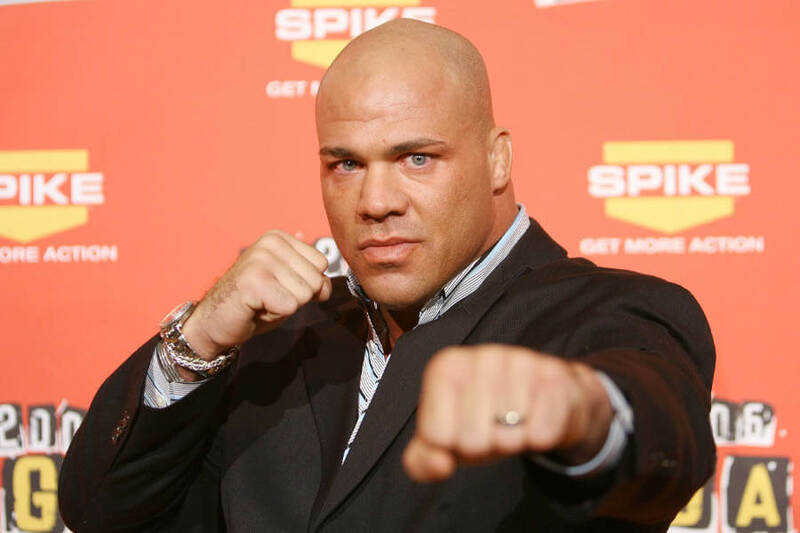 After the fight, a humble Kurt Angle admitted to being a little scared to fight some 80 pounds heavier than himself. Before they were household names, Shaemus and Yoshi Tatsu lived together and trained together. Their relationship turned sour when Tatsu got upset that Shaemus returned a protein shaker without cleaning it. Shaemus’ refusal to do dishes was only the straw that broke camels back, though. Tatsu was even more upset that Shaemus owed him money. To settle the score he fought Shaemus, who instigated the brawl after throwing the shaker at his flat mate. Tatsu, who had previously trained in the New Dojo in Japan easily won. During a WWE tour in Iraq, JBL took it upon himself to bully former ECW announcer Joey Styles. JBL was known for his gift for gab, and most wrestlers chose to ignore him. Styles grew so sick of the verbal abuse did something about it. Wrestlers had to separate the two, but the altercation didn’t end there. JBL approached Styles again, only to take a right hook to the head. The wrestler was left with a black eye and the announcer was left as the victor. This is a strange one. 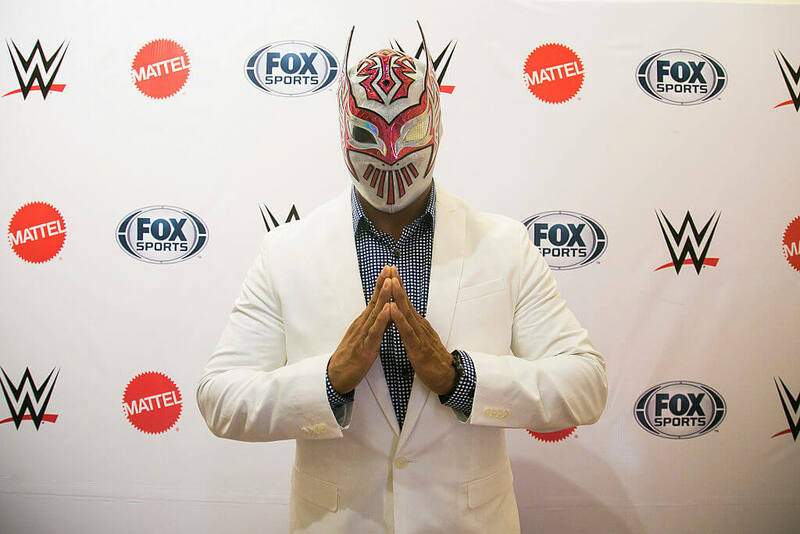 Sin Cara loved to get into backstage fights during his SmackDown! days, but his fight with Simon Gotch might take the cake. Or it might not. The truth is no one actually knows what this fight was about. What we do know is that Sin Cara beat Simon Gotch in a quick and one-sided destruction.” Oh yeah, the fight happened during catered meal time. Our theory is that Gotch took the last of the orange chicken! Our next fight got pretty ugly. 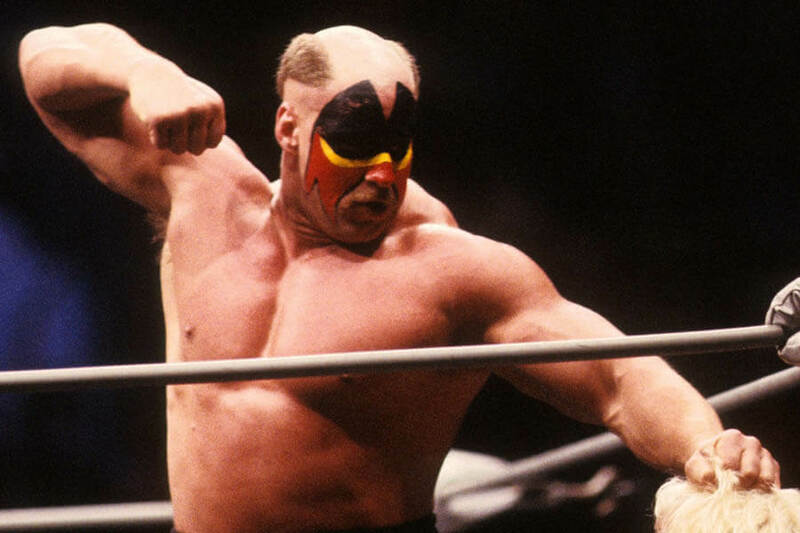 In 1996, Randy Savage and Road Warrior Hawk got into a fight for mysterious reasons. The first altercation happened backstage, and ended when Hawk knocked out Savage. Three years later at a Kid Rock concert, Savage got into it again with Hawk and sucker punched him. Savage’s girlfriend then attacked Hawk’s wife, giving her serious injuries. Hawk threatened legal action but never took any. He said wrestler feuds couldn’t be settled in court. Chris Jericho became infuriated during Summerslam one year when Brock Lesnar went off on Randy Orton. Y2J wasn’t happy with how a fight ended and blew up at Lesnar over the incident. Lesnar, full ego on display, told his enemy to punch him or kiss him. This didn’t go over well and the two engaged in battle. Triple H initially broke up the fight, but the two went back at it moments later. At this point Vince McMahon was forced to separate them. Neither were punished by the company. Scott Steiner was a WCW staple before coming over to WWE in 2002. Stealing him away from their rival company seemed like a good business move. Then Steiner got into a rivalry with Triple H and everything fell apart. 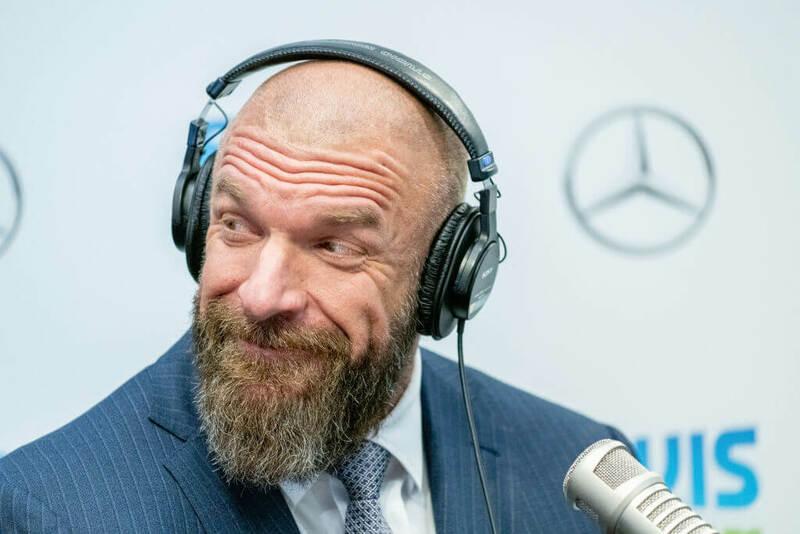 Steiner openly talked trash about Triple H behind the scenes, creating bad blood with his rival. There is no story about them fighting each other backstage, but we’re pretty sure Triple H got Steiner canned. He’s still with the company, after all. This fight didn’t happen backstage. 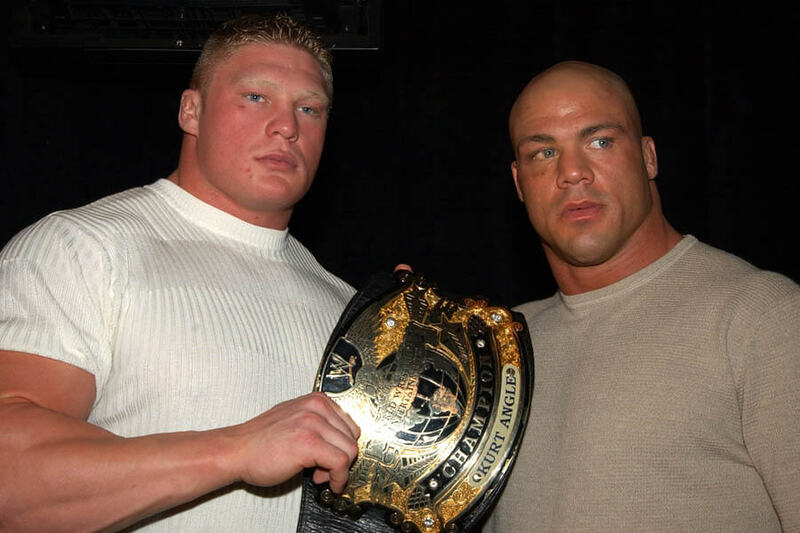 When Kurt Angle worked for TNA, his boss began dating his ex-wife. Jeff Jarrett would eventually marry the woman Angle divorced, and then use that heartbreak as a story line. 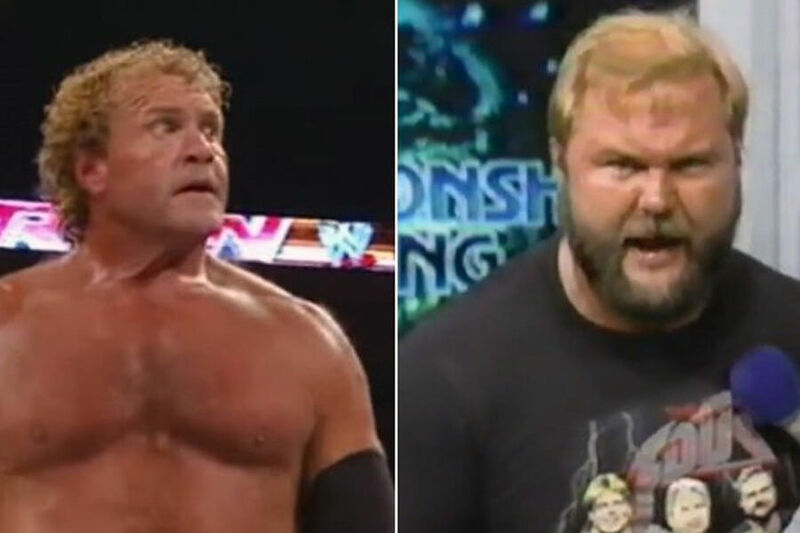 Angle and Jarrett were given a feud on TNA, but it was for more than just a show. If you go back and watch the fights that took place between Angle and Jarrett you will easily see Angle isn’t acting, he trying to prove a point. This fight was quick and painful. 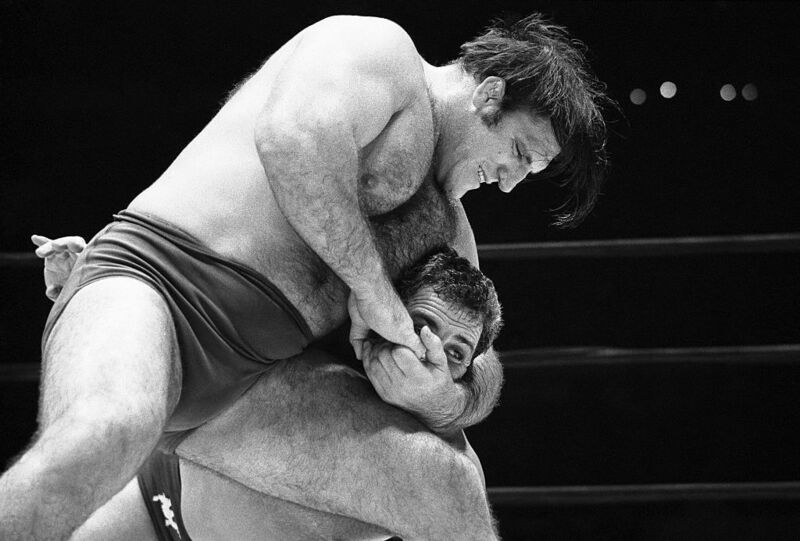 According to Sammartino, he got into a fight with Inoki during a match from the ’70s. He disapproved a Inoki’s behavior in the ring and dispatched of his foe in a brutal manner. Inoki began trying to fight Sammartino on the sideline of a tag team match. The Italian Strongman responded by headlocking Inoki, nearly incapacitating him. They never made up, but also never had any more professional problems with each other. Goldberg was a rookie on a winning streak with WCW when he came across Steven Regal in the ring. There are conflicting reports about why Regal broke script, but he basically blindsided Goldberg with moves the youngster had never seen. Segal says he was told to fight a six-minute match from higher ups. The problem is no one told Goldberg, turning this routine fight into a real life, in ring scuffle. Goldberg had trouble matching up with Regal, who proved the young buck wasn’t ready to hang with the big boys yet. Saturn was never the most popular WWE star and the fights he was placed in were proof of that. He also had a bad temper that kept him from achieving great heights. In one match, in particular, he temper got the best of him. Fighting Mike Bell, Saturn got upset when he almost hit his head. He unloaded as series of real, and vicious, blows against Bell. The fight didn’t end there. Saturn finished off Bell slamming him into steel steps. WWE punished Saturn by giving him a mop for a girlfriend as his next storyline. When MTV started their Tough Enough experiment, Kurt Angle asked anyone to challenge him to a fight. 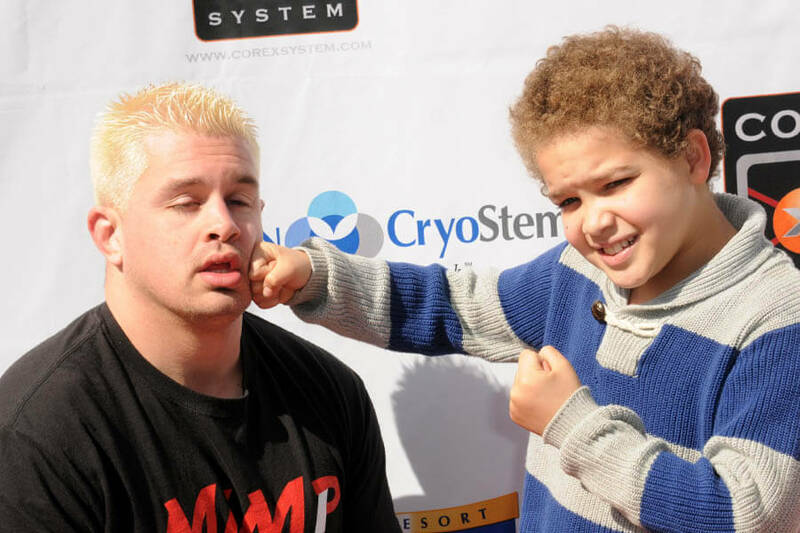 Daniel Puder accepted the challenge. Coming from a mixed martial arts background, the young wrestler gave Angle more than he bargained for. Angle was supposed to beat Puder easily. Instead, Puder took the fight into his own hands and started beating Angle with ease. WWE officials couldn’t believe what they were seeing and radio’d a ref to call a pin. The pin came with Puder’s back to the ground holding Angle is submission. Angle was declared the winner. John Bradshaw Layfield (JBL), got into more trouble with WWE when he took one fight too far. In a cross promotion between WWE and ECW, JBL targeted the Blue Meanie during a planned brawl. At the end of the brawl, cameras caught Blue Meanie bleeding profusely. To settle the score, WWE put the two together in a regular fight. After hitting JBL with a chair, the wrestler yelled that he had it coming. Do you think this was real of fake? Andre the Giant was literally one of WWE biggest stars when he was scheduled to fight Akira Maeda. 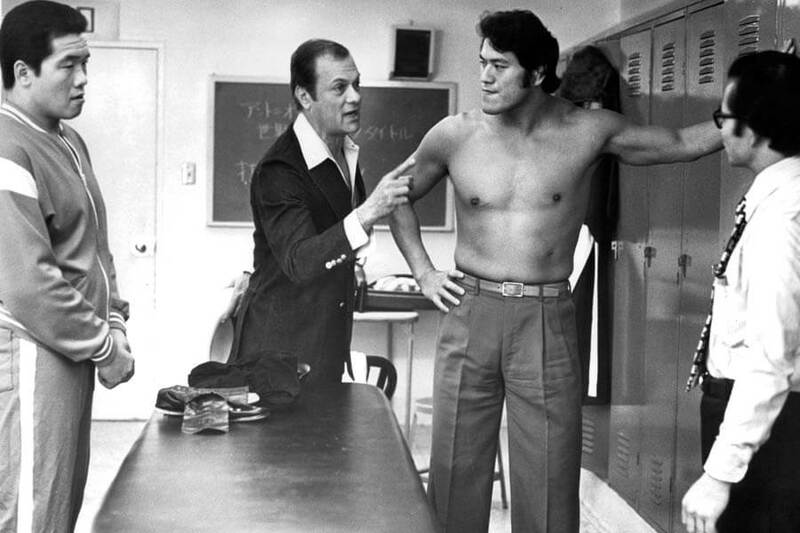 Maeda was known as temperamental in the ring, while Andre was known for not putting up with people talking him down. During the match, Andre shrugged off nearly every move Maeda tried and appeared bored. He didn’t follow the script and got the crowd to boo. Andre was bored (and drunk) and the crowd was too. Eventually Antonio Inoki had to jump in to stop the fight that really wasn’t. 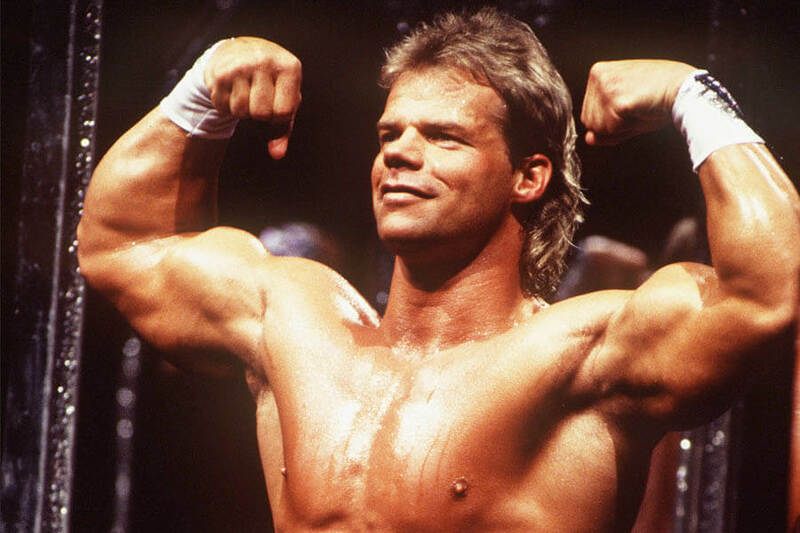 Lex Luger let his emotions get the best of him when he got into a real fight with Bruiser Brody in the ring. Brody was supposed to lose to Luger in a cage match, but refused and changed the script when it was too late for Luger to do anything. Luger became confused, then he became a victim to Brody when the bruiser attacked him with a series of vicious moves. Luger climbed out of the cage in fear, grabbed his car keys, and left without even showering. We’re diving deep into the history vaults for this one. When women’s champion Mildred Burke split with her husband and promotion runner Billy Wolfe, he responded by giving the title to June Byers. To settle their score, the women agreed to an unscripted fight. Burke was confident she would win. Byers worked quickly to attack he knee, which was already injured. Byers put Burke in a kneelock and dislocated her opponents leg. After thirty minutes, the fight was called to an end and Byers was awarded the win by points. Wendi Richter came across a huge problem when she threatened to leave WWE for a bigger payday. Vince McMahon scheduled the wrestler for a fight with the Spider Lady, although everyone could tell something was wrong from the start. After being pinned by the Spider Lady, Richter ripped off her mask revealing Moolah. Richter refused to give up the belt, enraged by the real life double cross. It was forcibly taken away from her backstage and she immediately quit the company. The match between The Great Antonio and Antonio Inoki was very different. Each wrestler had their problems, and Inoki’s tension boiled over when The Great Antonio refused to acknowledge any of his moves. Inoki surprised his opponent with a leg sweep and foot stomp. The Great Antonio was knocked unconscious by the unscripted move. Inoki kept banging on The Great Antonio until his manager ran into the ring and broke the fight up. The moral of the story is never mess with the little guy! 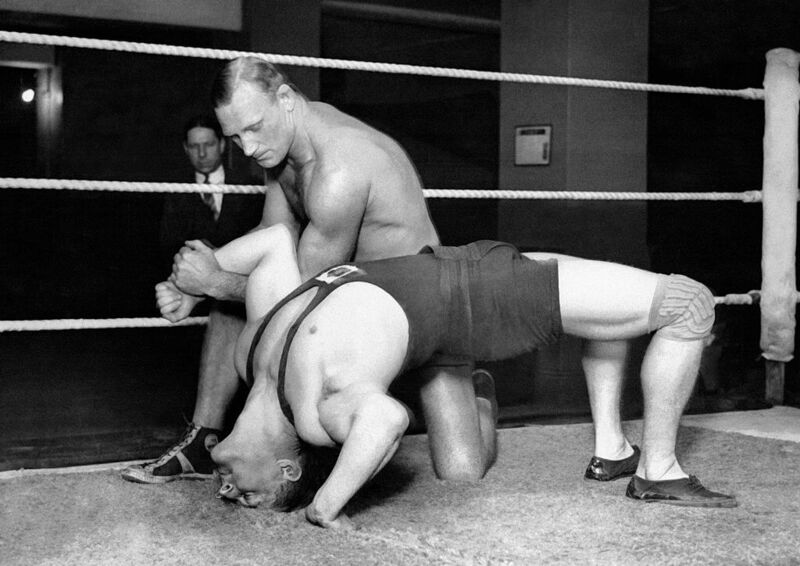 Wayne Munn was shocked when Stanislaus Zybsko went off script in the ring in the very early days of wrestling. Munn was supposed to win the match, but Zybsko had other ideas. He had been paid to sabotage the match, and sabotage the match he did! Time and time again Zybsko pinned his opponent. The crowd slowly started chanting his name, forcing the ref to call the match in his favor. After collecting his money, he lost his next match, giving up the belt Joe Stetcher. The Dynamite Kid probably had this one coming. He was widely known for treating his fellow wrestlers terribly. 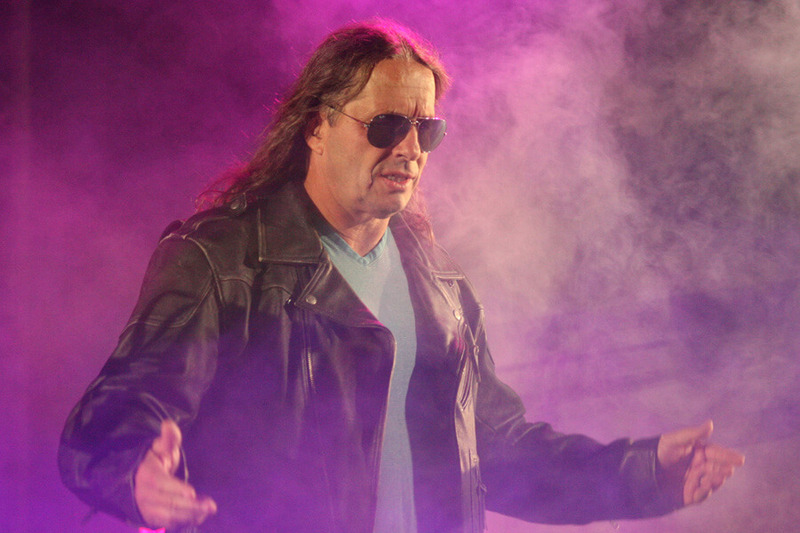 One night, before a show in Miami, he ambushed Jacques Rougeau backstage and caused his nose to bleed. 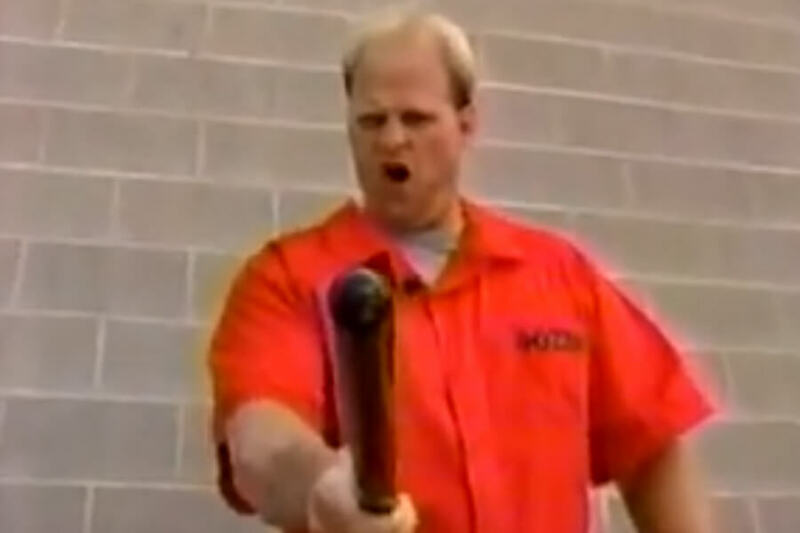 Rougeau spent the next few months planning and practicing his revenge. When the moment came, he put a roll of quarters in his fist and sucker punched The Dynamite Kid. The punched landed with so much for the kid lost four teeth and had to have Rougeau pulled off the top of him.